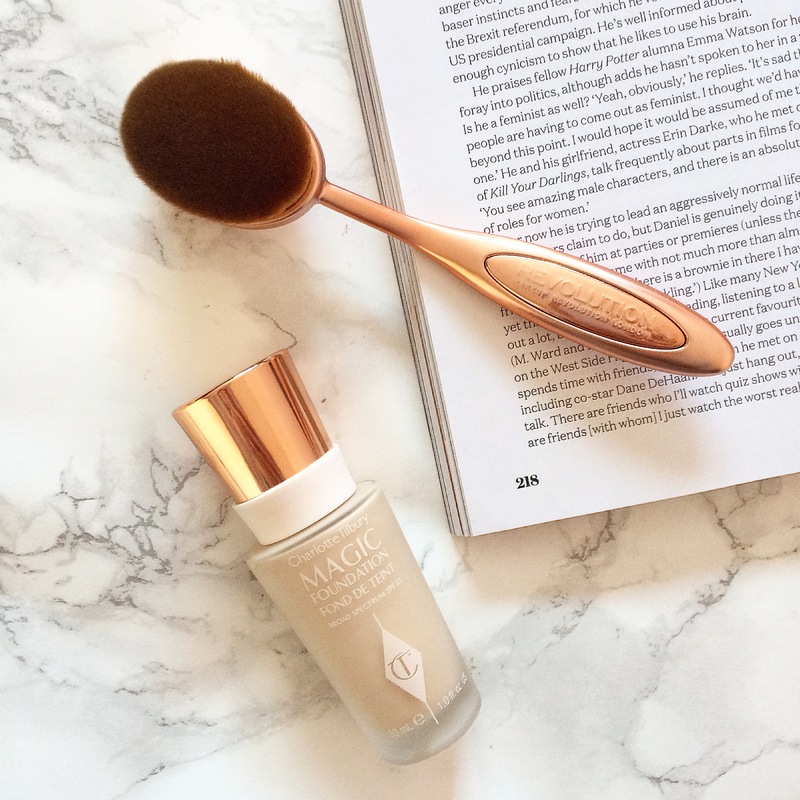 Ever since foundation oval brushes popped up on my Instagram feed I’ve been dying to give them a go, however, I wasn’t paying the expensive price tag. Then Revolution Make Up came to the rescue with its affordable Pro Precision Oval Face Brush. I’ve already tried a number of Revolution Make Up brushes, but when I saw this collection while wandering around Superdrug I got super excited. Although there was a selection of eyeshadow and contour brushes I went for the foundation brush, which was only £10. I’m a sucker for pretty packaging and I was loving the black and rose gold combination – very luxe for something so affordable. The brush itself is designed to adapt to the shape of your face providing a flexible movement for a flawless application. I’ve been using this brush for just over a month now and I absolutely love it, in fact, I actually prefer it over my Real Techniques foundation brush. 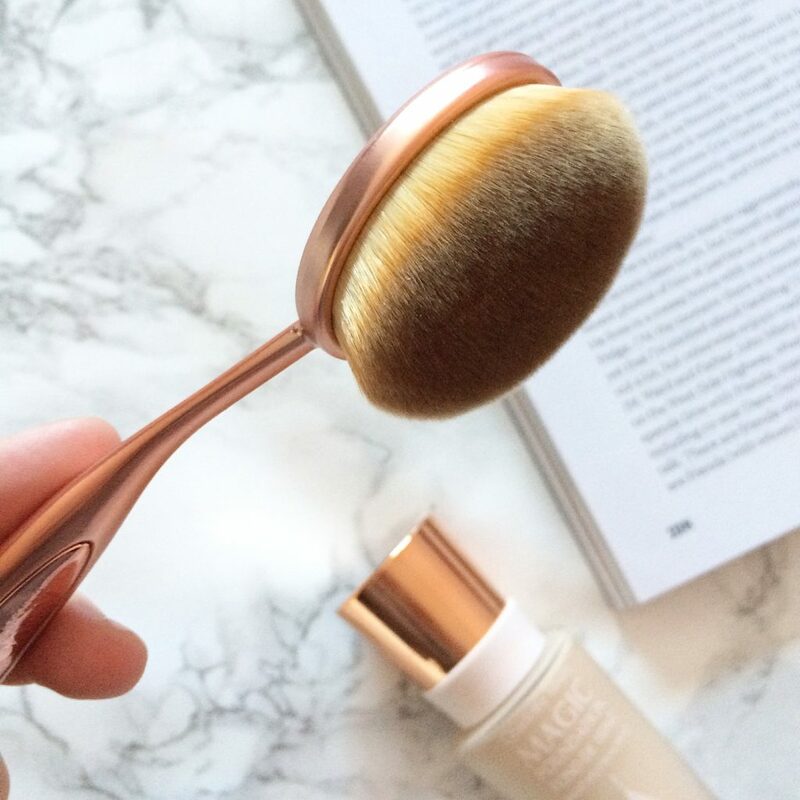 It works similar to a buffing brush, however, since the bristles are softer and designed in a different way it allows to blend my foundation flawlessly. Also since the bristles are angled differently I can blend my foundation into my neck seamlessly. Plus since using this brush I’ve never had any bristle lines either, which is something I always got with my previous brush. The only downfall with this brush is it’s rather delicate. I posted a picture of this brush on my Instagram and someone told me that theirs had snapped when using it. I didn’t quite understand, but then I used it and I could feel the neck of the brush strain when I put pressure on my face during application. I’m not quite sure if the oval eyeshadow brushes would work well because there not big and fluffy, but I definitely want to try out the contour oval brushes. I think they would chisel my cheeks amazingly! 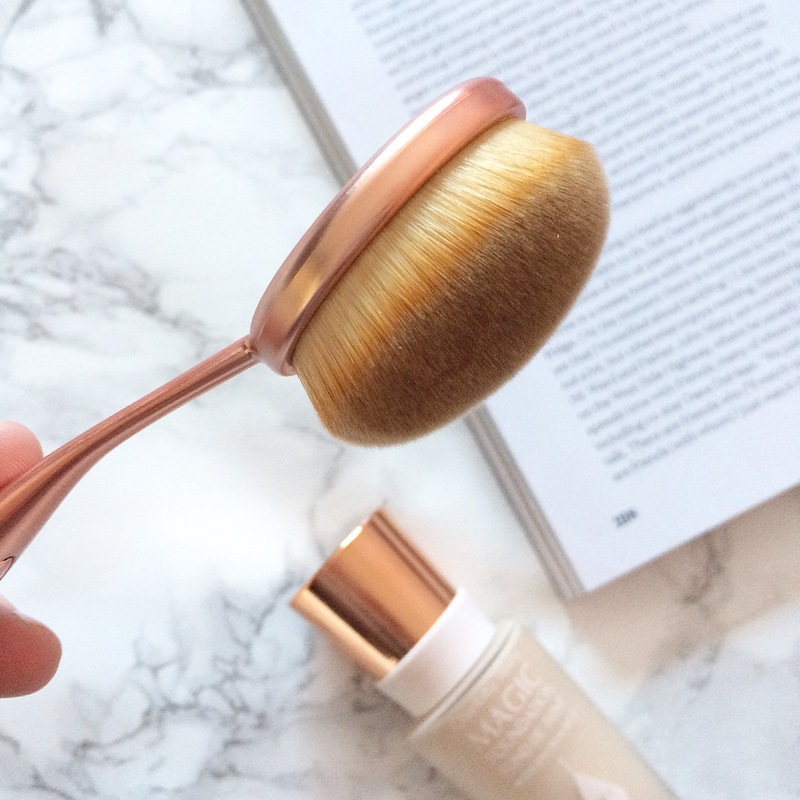 Have you tried oval brushes before? 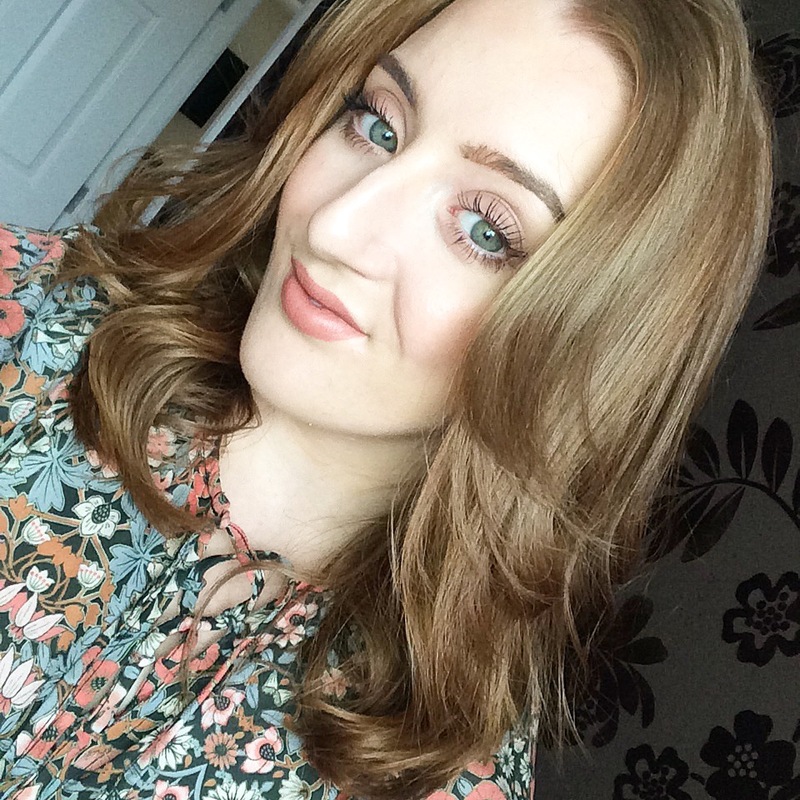 How do you apply your foundation?